Creamer Media’s readers continue to be part of the mobile revolution. Over 20% of Creamer Media’s online readers view the websites on their mobile devices. 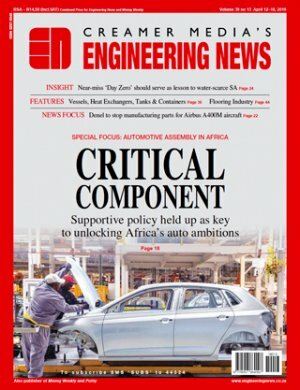 To cater for this growing mobile readership Creamer Media offers an Engineering News Online app for iPhone and Android users. These apps offer access to all content available on the Engineering News Online website and also offers additional benefits such as push notifications to alert the reader of breaking news items and the opportunity to save articles for a later read through the app’s bookmarks functionality.